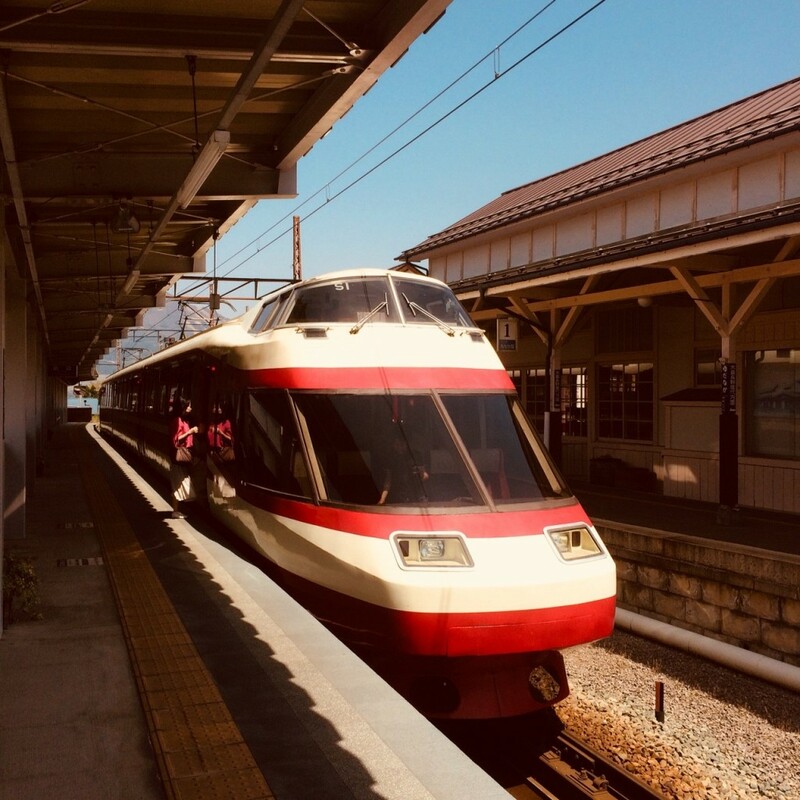 NAGANO’S YUKEMURI EXPRESS SIGHTSEEING TRAIN: TURNING YOUR JOURNEY TO THE SNOW MONKEY PARK INTO AN EVENT! There are several transport options when visiting the Snow Monkey Park from JR Nagano Station including train (and local bus) or express bus. All of these services are operated by Nagano Dentetsu (Nagaden) and represent comfortable and convenient services for reaching your final destination – the snow monkeys! 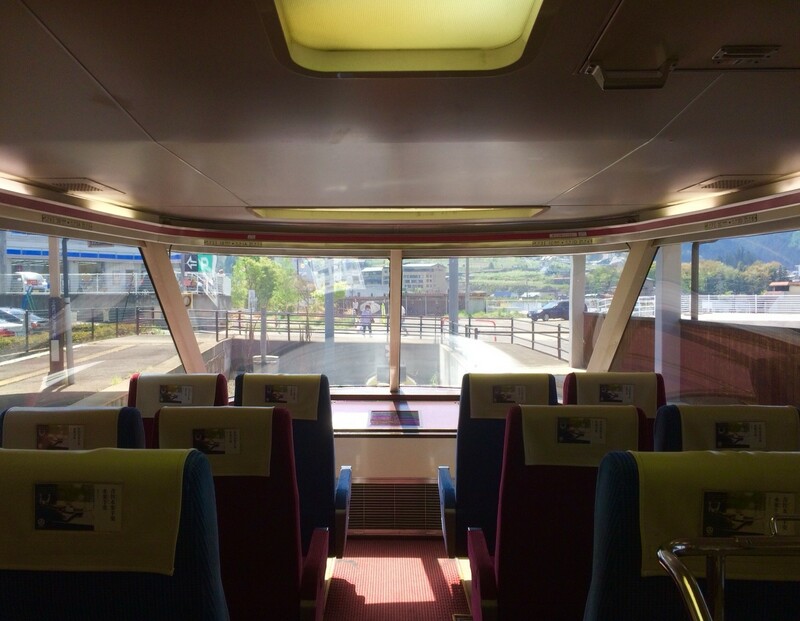 Visitors to the park are often thrilled by the opportunity to ride one train in particular – the Yukemuri Express Sightseeing train (as pictured below). The Yukemuri offers a unique travel experience with its front and rear carriages which have seats that face directly down the train line. Expansive windows provide passengers with the rare opportunity to enjoy a train journey with the view of a driver! 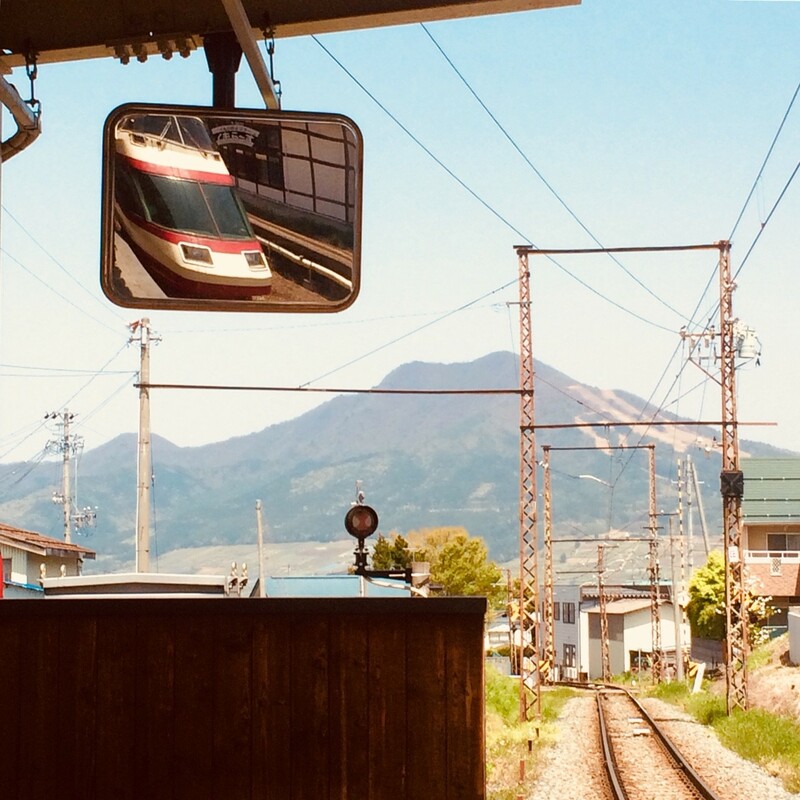 Starting underground at JR Nagano Station the Yukemuri races through the darkened tunnel – a truly unusual experience and one that you may never have experienced – before emerging into the light and rolling above ground past the houses, schools, and daily life of Nagano City. The city itself is relatively small so it isn’t long before the Yukemuri is crossing Japan’s largest river, the Chikumagawa, and arriving at the historic towns of Suzaka and Obuse – well worth visiting in conjunction with your trip to the snow monkey park. 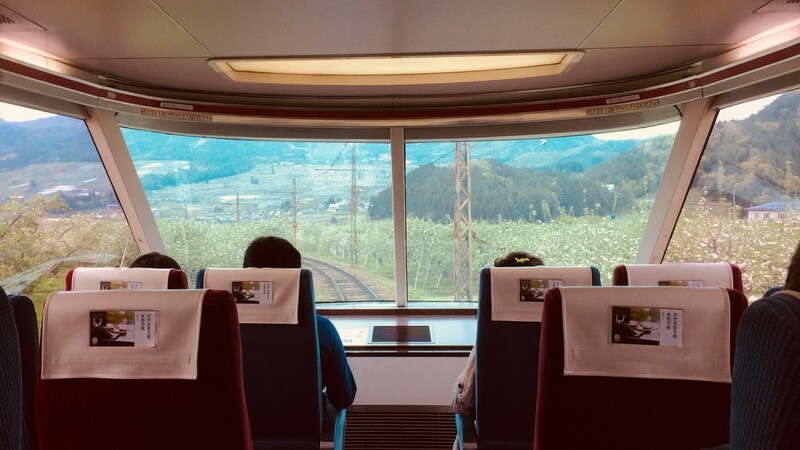 The Yukemuri is at its most enjoyable as it passes through the farmlands, orchards, and busy work of our local farmers that defines this region. Life goes on against the iconic background of the surrounding mountains including the famous peaks of Mounts Iizuna, Togakushi, Kurohime, and Myoko. 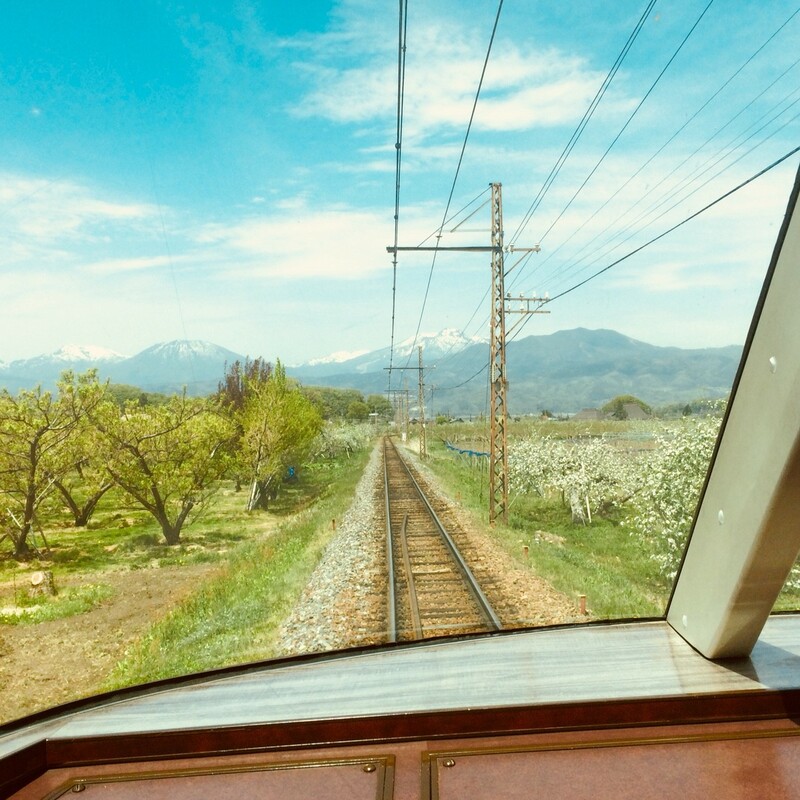 As the train climbs gently toward the Snow Monkey Park it will literally wind between and through apple orchards and the day-to-day activities of local people. It’s a beautiful and relaxing to visit the monkey park; one in which you will really feel yourself rolling away from the bustle, buzz, and concrete of Tokyo into the natural beauty, community, and quiet hum of life in rural Japan. There is no additional cost to use the Yukemuri however it runs a limited number of times each day. Please refer here for the current timetable. It is worth noting that all seats on this train are non-reserved therefore it is worth boarding early to ensure you snare one of these prized seats!